Laerdal's Suction Unit with Semi-Disposable Canister helps clear obstructions from your patients' airways to ensure they can breathe properly and don't contract any infections. 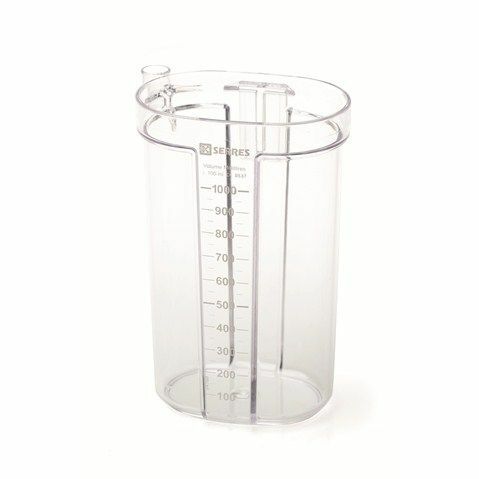 The 1000ml Canister for the Laerdal Suction Unit with Semi-Disposable Canister is perfect for use as a replacement part or as a spare in case you need an extra canister at short notice. 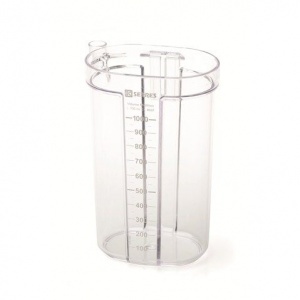 The 1000ml Canister for your Suction Unit is perfect for use as a replacement part or as a spare in case of breakage. As the unit uses disposable suction bags, the canister doesn't usually become dirty or contaminated so it's easy to clean and wipe down. With graduation marks for every 100ml, Laerdal's 1000ml Canister allows you to measure the amount of liquid collected during suctioning. With its quiet running and shock-and-splash-proof design, the Semi-Disposable Suction Unit is an excellent option in nearly all settings. Owing to its portability, the unit is ideal for use in the field by first responders. The 1000ml Canister for the Laerdal Suction Unit with Semi-Disposable Canister will be subject to a delivery time of 3 - 4 working days after the point of order. For more information, contact our Customer Care Team at 020 7501 0593.